Interactive visualization is a field of computer science and programming that is focused on graphic visualizations and improving the way we can access and interact with information. Graphic visualizations also refer to the graphic displays used by analytics and business intelligence tools. Most often, these visualizations form part of interactive dashboards considering they are useful for providing quick and easy way to understand insights based on changing data. For visualizations to be considered interactive, they must have an aspect of human input—clicking on a button, moving a slider—as well as a response time quick enough to show a real relation between input and output. The use of interactive visualizations is becoming increasingly popular in business intelligence and is a common part of most analytics suites thanks to its ease-of-use and added value. Visualizations grant users the ability to explore, manipulate, and interact with data by employing dynamic charts, changing colors and shapes based on queries or interactions. Importantly, interactive visualizations also offer better access to real-time data, which makes them valuable in dashboards for a variety of organizations. The ability to view data as it comes in and shifts is vital for making the best and most accurate decisions. How Can I Use Interactive Visualizations? Interactive visualizations are a fantastic tool in a variety of settings thanks to their ability to optimize the way information is displayed. One of the most common applications for interactive visualizations is directly in dashboards, where using long tables of numbers and data would be impractical and time-consuming. 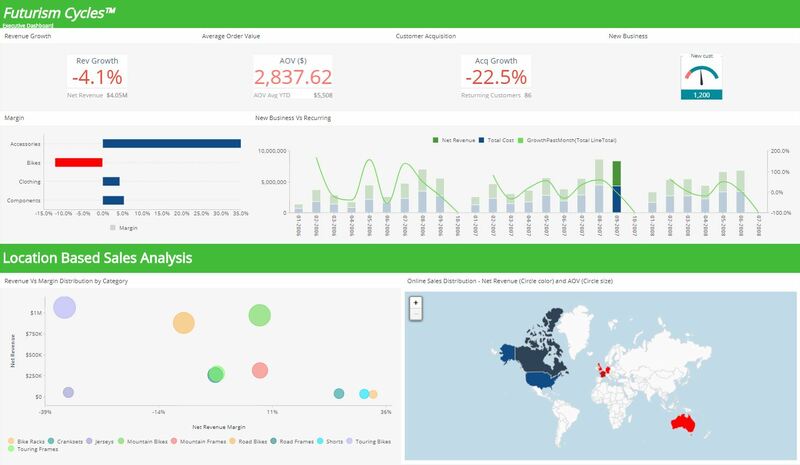 Instead, the use of these visualizations makes dashboards an ideal tool for a high-level understanding of an organization, department, or project. Including them in a dashboard allows organizations to compartmentalize data and create hierarchies, moving granular information to inside the visualization or simply to a different tab. 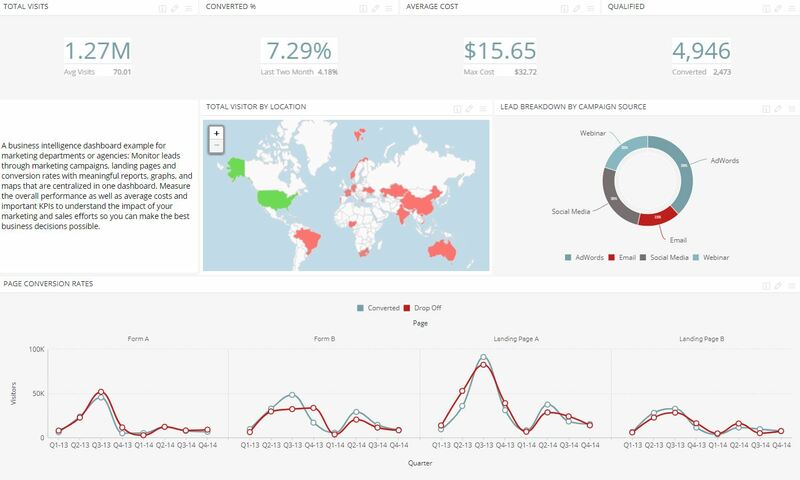 Additionally, interactive visualizations are excellent when implemented in BI reports because they can make them more engaging, interesting, and easier to read. These data visualization tools provide organizations with the ability to also diversify the way they display data. This allows for a deeper understanding, and more customizable analysis which can produce different insights and unexpected results. Even when displaying information for clients, interactive visualizations supply a more attention-grabbing report.